Below is a collection of educational documents and links available for your viewing. Check this page for files you can download and print out at home, to help with your recovery from injury. 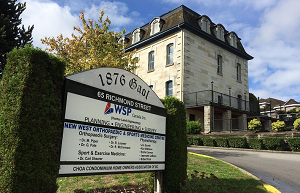 These documents are intended to compliment what your physiotherapist has already taught you, and should be used with their guidance. View Presentation in HTML Ron Mattison has spent the past 15 years focusing on shoulder injuries, and their treatment. He has worked closely with athletes from all sports, in particular baseball and swimming. This is from a recent presentation he gave to the national aquatics association. 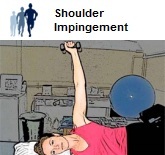 Download PDF Document This is a two page document outlining several exercises which are appropiate for most patients suffering from shoulder impingement (Rotator Cuff Tendinosis). This is a common shoulder injury which can be very difficult to settle. It usually takes a multifaceted programme of exercises, modification of daily activities, and efforts to control pain and inflamation to settle. 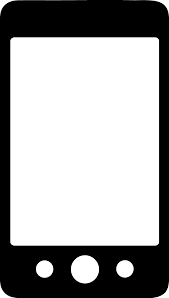 Download PDF Document This is a single page document providing a series of progressions to train and develope ideal Core control. Core training has proven to be an incredibly helpful tool in the recovery and prevention of injuries. 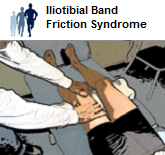 Download PDF Document This is an exercise program listing many strengthening, stretching and massage techniques specifically designed to treat ITB Friction Syndrome. Your therapist will ensure that you are performing them well and assist you with progressions. 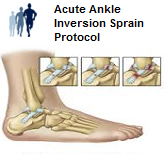 Download PDF Document This one page document outlines the steps needed to look after an acute anke inversion sprain. It describes early management of pain and swelling, and provides a list of ten exercises to assist recovery. Download PDF Document This is a general hip conditioning program designed to provide you with a wide variety of exercises and strategies to manage your symptoms. 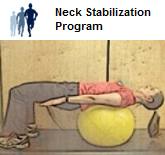 Download PDF Document This is a document providing a series of exercises to develop neck stability.